COE have been on a downward trend since the start of this year. Premiums for Cat A and C dropped from $38,000 to $37,000 and $35,001 to $34,001 respectively. While premiums for Cat B and E increase slightly from $37,010 to $37,605 and $38,000 to $38,039 respectively. If you are looking to get a used car, now is the time to take advantage of the low COE prices. You will most likely be able to grab a good deal to get cars at relatively low depreciation value per year. Start shopping for used cars available in the market now. After you have decided to purchase a car, it is now time to look for car loan package. 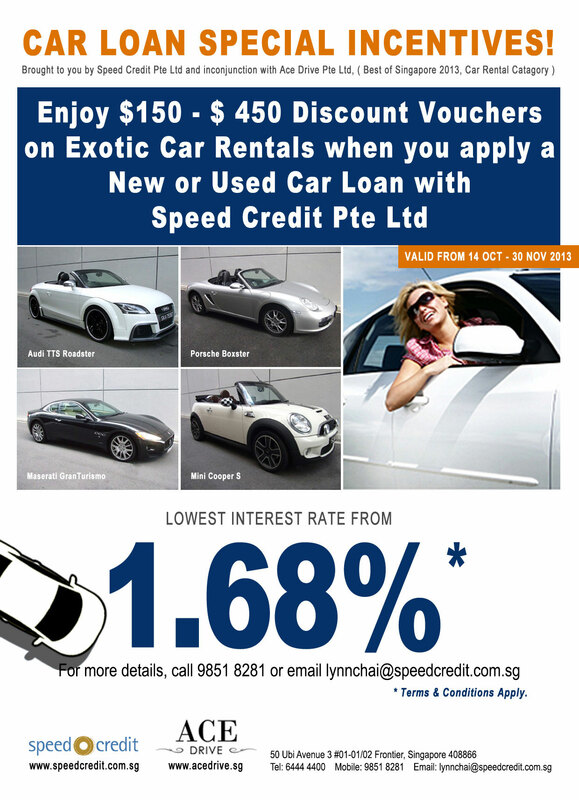 Speed credit provide one of the most competitive car loan package with established banks and financial institutions in Singapore. We provide interest rates as low as 1.68% for used car loans. Apply online or call our hotline at 6444 4400 to enquire.